Almatech was responsible for the complete design, development and delivery of the 3 models of the SPICE Slit-Change Mechanism. In order to guaranty optical cleanliness level (PAC<30ppm) while fulfilling stringent positioning accuracies (±10 μm / 200 arcsec) and repeatability (±3 μm) requirements for slit positioning in the optical path of the instrument, a linear guiding system based on a double flexible blade arrangement has been selected. The concept of the mechanism is compliant (wear-free), compatible with cryogenic conditions with an integrated calibration system and does not require a launch-lock system. All requirements including cyclability (over 54’000 cycles) have been fulfilled. Solar Orbiter is a Science mission of jointly developed between ESA and NASA, that was selected as the first medium (M)-class mission of ESA’s Cosmic Vision programme for launch in 2019. Solar Orbiter’s goal is to address the central question of Heliophysics: how does the Sun create and control the heliosphere? Solar Orbiter is designed to identify the origins and causes of the solar wind, the heliospheric magnetic field, the solar energetic particles, the transient interplanetary disturbances, and the Sun’s magnetic field. SPICE is one of 10 instruments on board Solar Orbiter. It is a high resolution imaging spectrometer operating at extreme ultraviolet wavelengths. 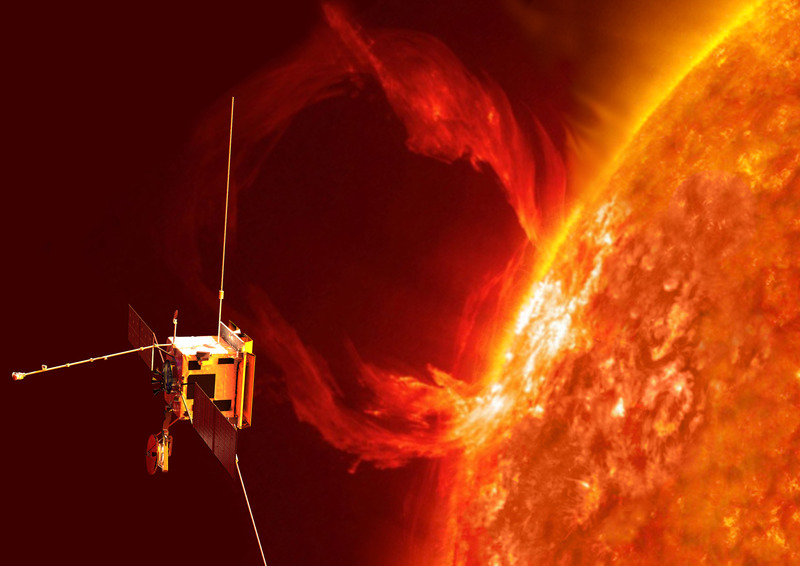 SPICE will address the key science goals of the Solar Orbiter mission, by providing the quantitative knowledge of the physical state and composition of the plasmas in the solar atmosphere, in particular investigating the source regions of outflows and ejection processes which link the solar surface and corona to the heliosphere. SPICE is designed to study the structure, dynamics and composition of the transition region and corona by observing key emission lines on the solar disk on timescales from seconds to tens of minutes. Almatech delivers critical flight hardware for space missions as well as accessible engineering services for naval and ground applications.